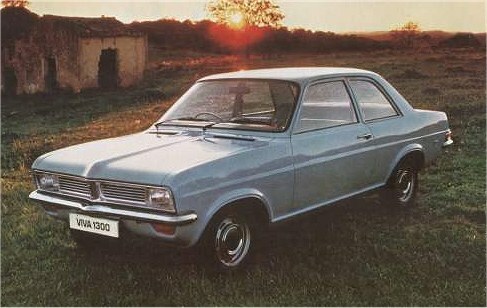 The final version of the Viva was the HC, and was launched in October 1970. It was to remain in production for 9 years with 640,863 cars being produced at Vauxhall’s Luton and Elsemere Port plants. 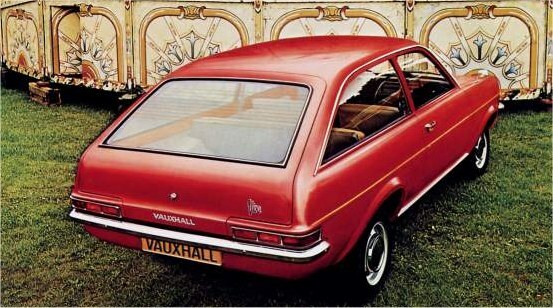 It was 2 inches wider and 1 inch longer than the HB Viva, and the styling had lost its “coke-bottle” styling. The HC is mechanically very similar to the HB, it’s straighter lines and greater glass area gave it quite a different look. The HC was available in 4 body styles…..2 door saloon, 4 door saloon, 3 door estate and an attractive coupe, which was partly inspired by the Mk1 Ford Capri. The initial power-plant was the 1159 cc OHV engine that powered the HB, but this was quickly up-rated to 1256 cc to cope with the now heavier car. Other engine sizes were the 1599 cc OHC engine (replaced in 1972 by the larger 1759 cc) and the 110bhp 2279 cc OHC engine, completed the engine ranges for the HC range. The HC was, by any measure a success and proved itself popular, thanks to it’s low acquisition and running costs, not only with the family man but also with the fleet managers of large firms. This was somewhat of a small miracle when compared to the competition, top most being the MK3 Ford Cortina. 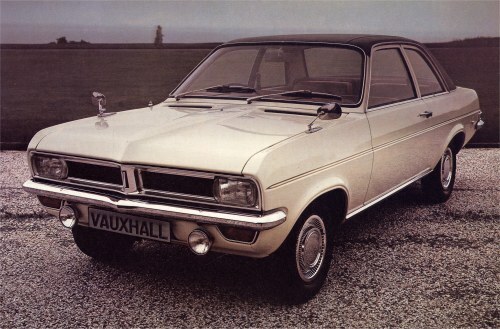 on the 20th July 1971 the 1,000,000th Viva was produced at the Luton factory, an interesting fact is that chassis number 1,000,001 was produced at the Cheshire plant. The basic HC model spawned some interesting variants. Between 1971 and 1973 the Firenza was produced. This was based on the coupe body shell, and came with 1159 cc (later 1256 cc), 1600 cc and 2000 cc power-units. This attractive looking car, with it’s twin head-lights and rostyle wheels was not as great a success and it had been hoped and didn’t really sell in any great numbers. 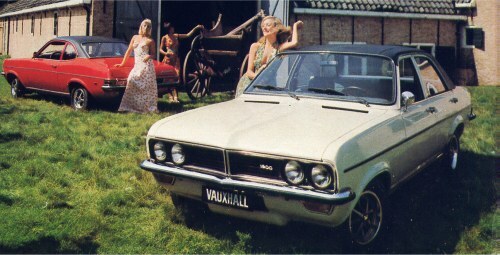 In 1973 Vauxhall decided to only use the Viva name on the 1256 range. The models with the 1800 cc and 2300 cc engines were up-rated and re-badged under the Magnum label. The Magnum range came in 2 door and 4 door saloons, as well as the 3 door estate. (Initially it was also available as a 2 door coupe, which effectively extended the shelf-life of the short-lived Firenza). 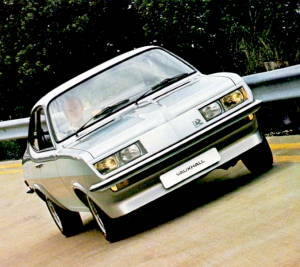 Perhaps the most exciting variant of the HC Viva was the High Performance Firenza (a.k.a. ‘Droopsnoot’) produced between 1972 and 1975. This striking looking car was launched at the Motor show of 1972, and really was a radical departure in mainstream styling for it’s day.